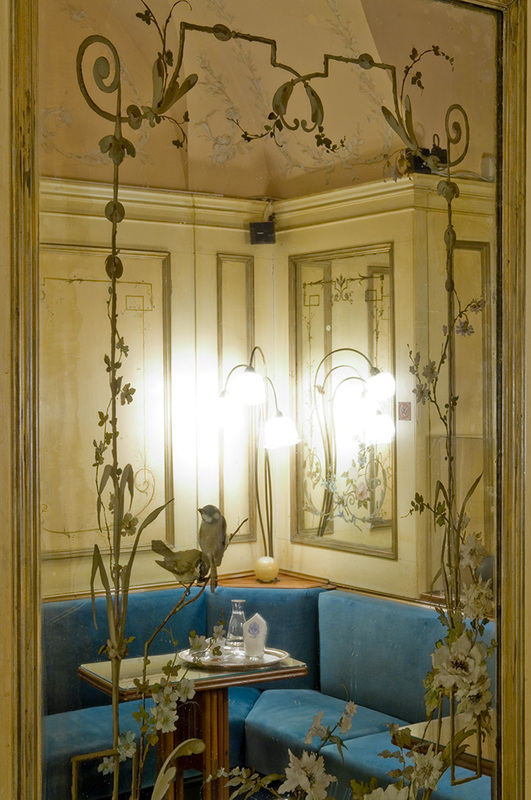 When the Art Nouveau was so à la mode between the 19th and 20th centuries, affecting architecture, design, interior decoration, jewelry and fabric, it also influenced the style of the smallest Room of the Florian. 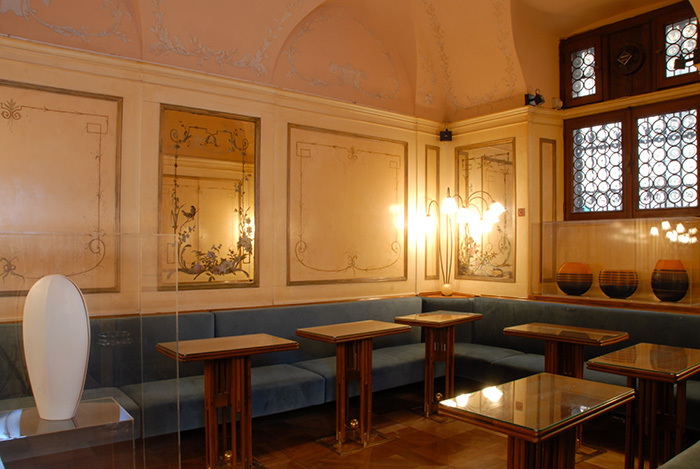 The Liberty Room, created in 1920 to celebrate the two hundred years of the Café, soon became a storeroom and was not restored and opened to the public until 1986. Arched ceiling, hand-painted mirrors, tables with copper bases, precious wooden inlaid parquet and Murano glass light lamps are the main decorations in this Room, where elegant figures inspired by nature come to life, creating a warm and harmonious scenery, rather intimate and unusual inside the hearth of the Florian.